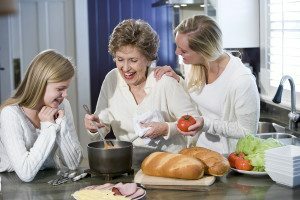 How can you create the ideal home care plan for your mom when you and your siblings never agree? Family squabbles can make it hard to see eye to eye, but it’s time to put those issues aside and focus on your mom’s needs. Here are the questions you need to ask. What Does Your Mom Need? All focus needs to move to what your mom needs. You and your siblings may not agree, but if you’re armed with what her doctor said, personal opinions have no place in the decisions. If your mom has Alzheimer’s and the doctor said her depth perception is failing and she needs help with mobility, you hire caregivers to help her when walking up stairs or outside where there are curbs and uneven ground. If your mom broke a hip and is supposed to walk around an increasing amount each day. Your brother tends to hover and insists on holding onto her while she walks, you know that’s frustrating her. Give your mom the chance to discuss her frustrations with him. Don’t feel the need to jump in and start an argument. If nothing changes, talk to her doctor at the next appointment and let the doctor address those concerns. How Much Time Needs to Be Spent Together? Family meetings are important, so you will need to interact then. But, how often do you really need to interact beyond that? If you and your siblings argue a lot, limit interactions when there isn’t someone to act as a go-between. You know your sister will be at your mom’s all day on Sunday. Pick a different day to stop by and help. When you know who wants to be with your mom, put up a calendar that is accessible to everyone. A shared calendar like Google Calendar or Outlook helps with organization. On days that you’re not scheduled to offer family care, stay home and tend to your own home and family. If you can’t agree on the care services that are needed, bring in an impartial party. A trusted church official or social worker for the elderly are worthwhile when arguments are getting in the way of creating a home care plan. Once you have drawn up a list of what services your mom needs, call a home care agency. An expert can talk you through the best schedule, care plan, and rates for that level of care. Call a home care agency now to get started. If you or an aging loved one are considering Home Care in Chester PA, please contact the caring staff at True Direct Home Health Care today.